With this product, you earn 153 loyalty points. The effectiveness of a next-generation formula, allied with the pleasurable feel of a cloud. Deeply nourishing yet light as air, this unique cream surprises you from the very first – its velvety touch hides a whipped foam texture. 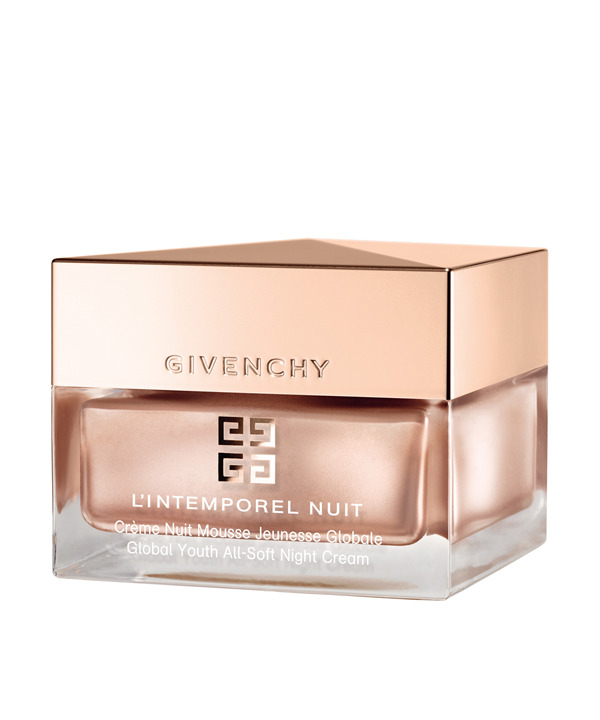 Global Youth All-Soft Night Cream melts on the skin to enfold it in comfort night after night, all the while releasing active ingredients capable of relieving it from the stresses of the day. In addition to Timeless Blend Complex, this cream contains evening primrose, a flower that opens only at nightfall. Like this bloom, the skin’s youthfulness is reborn in the dark of night. After a night of regeneration and revitalising, skin awakens every morning smoother, firmer, and more radiant – and better able to face the day ahead with beauty. Each evening, after thoroughly cleansing the skin, massage into the face and neck with upward strokes.